Marble is among the most elegant and luxurious of stones. The beauty of the stone will last for generations and is versatile enough for use throughout the home. Marble especially stands out in the bath. It can be applied on almost every surface, including vanities, shower walls, tub decks and flooring. Marble is more susceptible to staining by many foods, spilled liquids and other household materials. Softer and more porous than granite, marble is more suitable for less-trafficked, formal areas. Marble should be sealed more often than Granite. 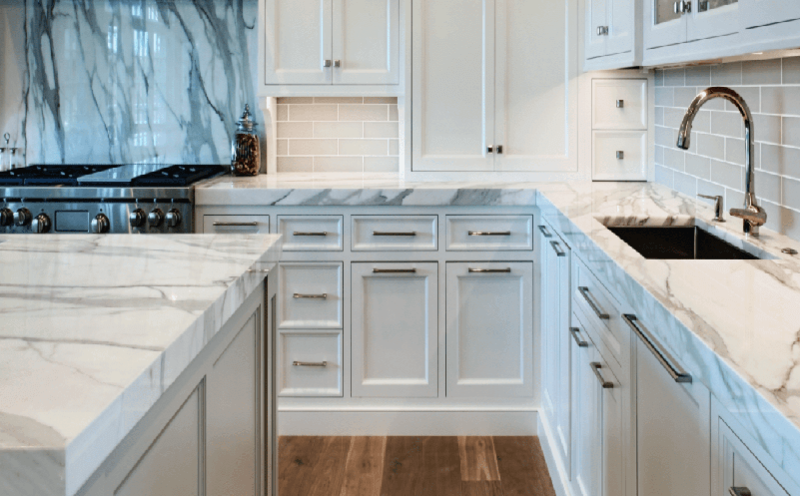 WHY SHOULD I CHOOSE MARBLE FOR MY COUNTERS? Marble is a timeless choice and can add class to your home. Marble is a clean, elegant look that will be timeless. Call us today and set up an appointment! We will provide a speedy and quality estimate. We hope to hear from you!